WALNUT CREEK, Calif. (KGO) -- A serial arsonist may have struck again in the East Bay. 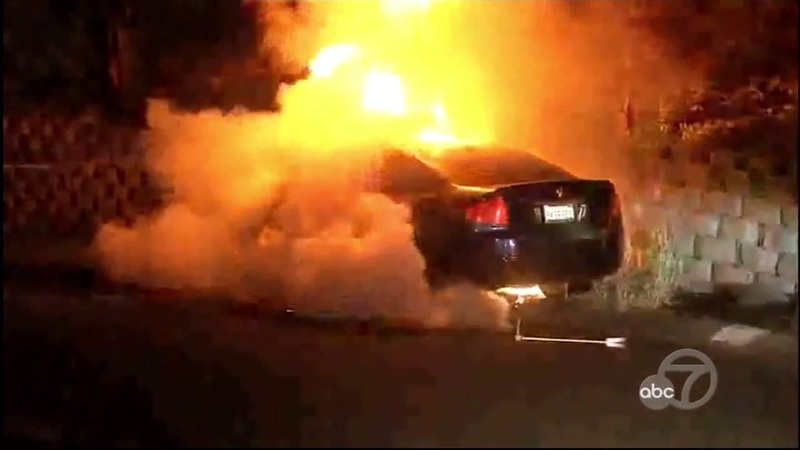 Two more cars were set on fire Friday morning in Contra Costa County. There have now been seven car fires just in this past week. Investigators say this appears to be the work of a serial arsonist. No one has been hurt by any fires. Monday, May 8, 2017- First car fire reported in Martinez. The car was found torched in the driveway of a home. Wednesday, May 10, 2017- A very similar scene, a car was found torched in Walnut Creek, then 15-minutes later another torched car was found in Martinez. Thursday, May 11, 2017- Two more destroyed cars were found in Brentwood. Only, in this case, the flames spread to a nearby home damaging a garage and the contents inside. Friday, May 12, 2017- Yet another set of two cars were torched one in Lafayette, the other in Walnut Creek.